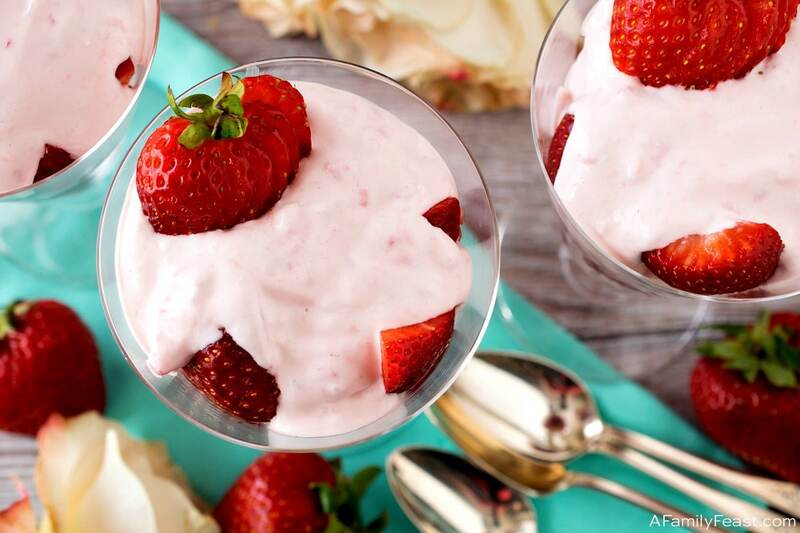 Strawberries Juliet is an easy, sweet, and creamy dessert that everyone will love! 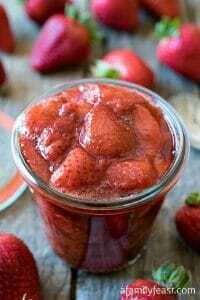 This Strawberries Juliet recipe is a delicious, vintage recipe we found in my mother’s old recipe box. 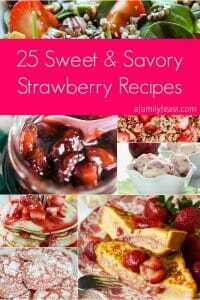 And with strawberry season right around the corner, this incredibly easy, creamy dessert is a must-make dessert! How do you make Strawberries Juliet? 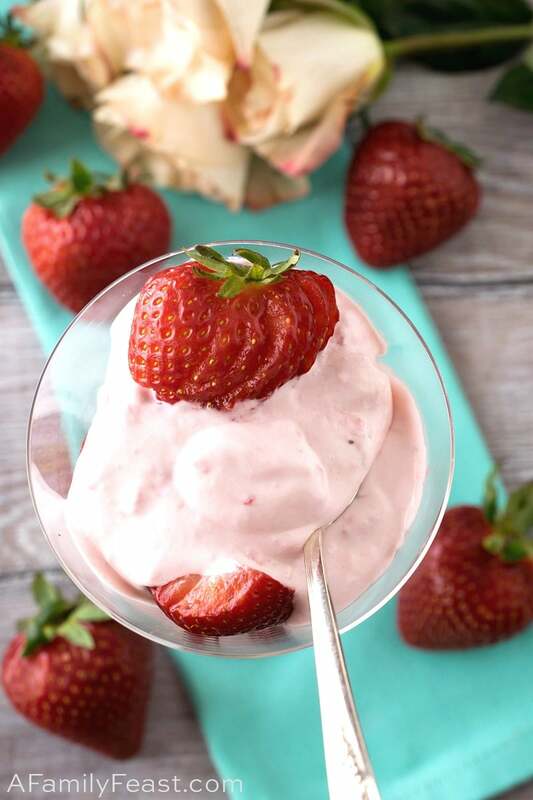 This recipe calls for fresh ripe strawberries, frozen whipped topping (Cool Whip), whole milk Greek Yogurt, plus a little bit of granulated sugar. You’ll start by mashing some of the strawberries — then stirring in the Cool Whip, yogurt and sugar until combined. 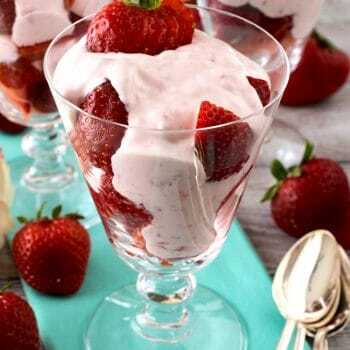 Then — in tall dessert or parfait glasses — layer the strawberry-yogurt mixture with the remaining sliced strawberries. Garnish with some strawberries on top. 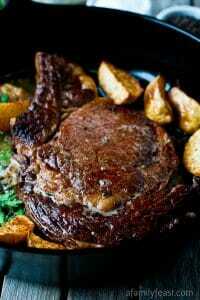 Chill until ready to serve. 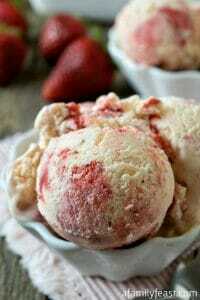 I told you this Strawberries Juliet was very easy to make! 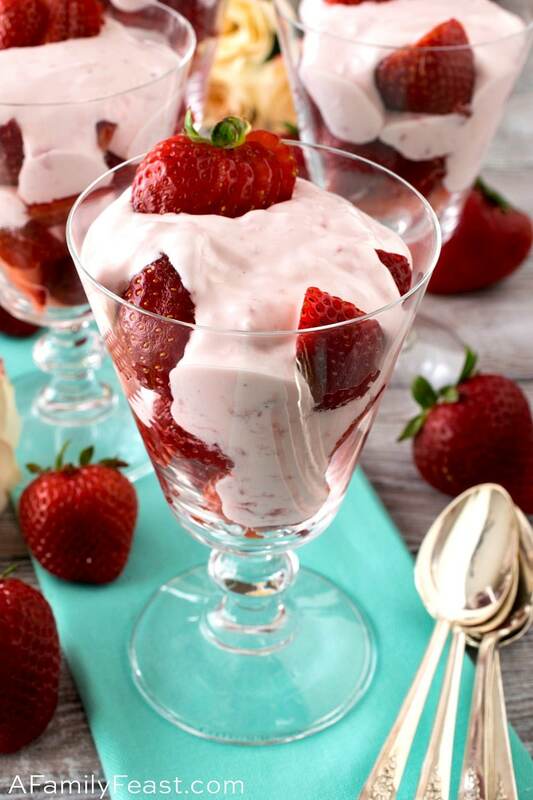 It’s also creamy and delicious, and the tang of the yogurt perfectly complements the sweet strawberries and cream. Where does the name Strawberries Juliet come from? During my recipe research, I also discovered that there is a strawberry variety called “Juliette” — known for its bright red, glossy appearance. 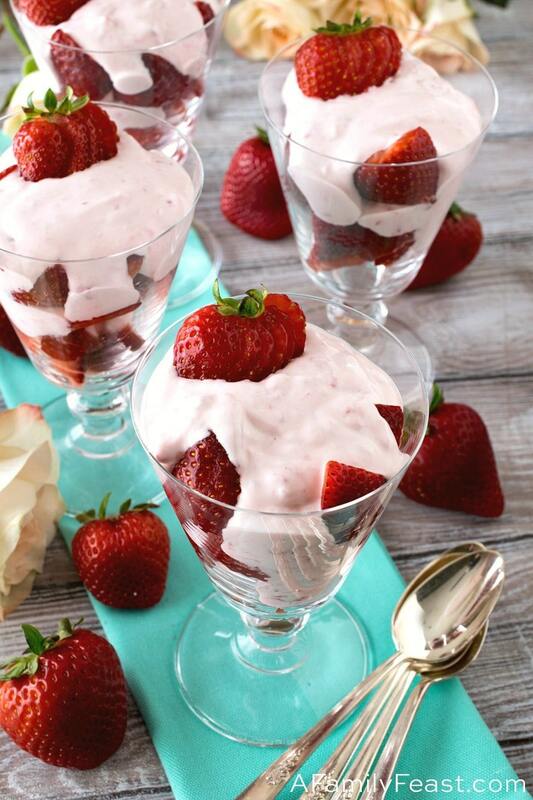 So, perhaps this Strawberries Juliet recipe was inspired by that lovely berry? 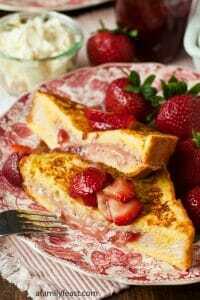 Regardless of where Strawberries Juliet originated, this is a sweet and easy dessert every strawberry lover will enjoy. Trim the strawberries and cut in half if small or quarters if large. Remove one cup of the cut strawberries and spread out on a cutting board. With a fork, mash the berries then add to a medium bowl. Add the whipped topping, yogurt and sugar to the mashed strawberries and whisk to combine. Spoon a little of this mixture into the bottoms of four dessert glasses. Then layer each with strawberries and the whipped mixture making a few layers ending with the whipped mixture. 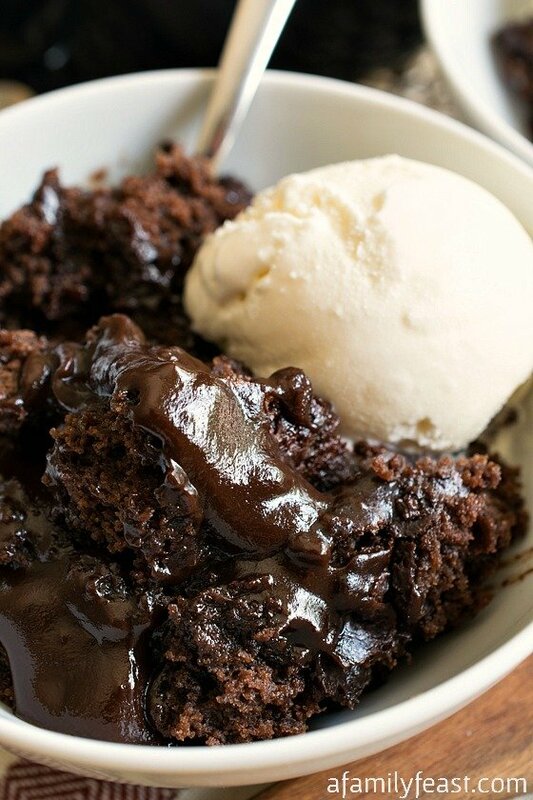 *You can swap in sweetened whipped cream in place of the frozen whipped topping if you prefer. **To make a strawberry fan, lay a whole strawberry on its side. With a sharp paring knife, make cuts from one side to the other stopping just short of the top so that the top holds the slices in place. 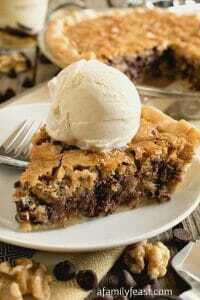 Fan out gently with your fingers and lay over the top of the dessert.